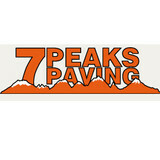 Paving throughout Central Oregon, Dave Vogt and Todd Allen of 7 Peaks Paving located in Bend, Oregon was founded in 2011. Together, their past experience working in the asphalt paving industry totals over 40 years in combined experience. Todd and Dave have a deep respect for the asphalt paving business and care that each customer is treated as family and provided the best possible asphalt paving project available. Their continuous active involvement in organizations such as the Asphalt Pavement of Oregon not only shows their continuing commitment to the industry, but allows them to keep up on the latest advances in equipment and technology as well. In addition to their expertise, Dave and Todd have also brought in other experienced management and field operation personnel. From top to bottom every employee at 7 Peaks Paving cares about each customer and the success of the company, creating a environment of quality unsurpassed in the industry. The years of prior experience and daily commitment to the customer has immediately made 7 Peaks Paving the standard in Central Oregon Asphalt Paving & Grading. 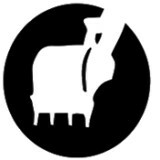 Otley Excavation Co. is located in Bend, Or. We are dedicated to providing the very best quality excavation work in all of Central Oregon. With 13 years of experience as a heavy equipment operator, Morgan Otley has experience with all types of projects. Our servicing areas are: Bend, Redmond, Prineville, Tumalo, La Pine, Burns and Hines Oregon and we plan to expand in the near future. If you are looking to build a new home, new shop or just tear out and replace a driveway Otley Excavation Co. would love to be a part of your construction plans. Please see below for a full list of services offered in Central Oregon and surrounding areas. From installation to repair, Black Butte Ranch, OR driveway contractors are responsible for a variety of planning, installation, construction and driveway maintenance services. Driveway materials. While most driveway contractors in Black Butte Ranch, OR primarily work with asphalt, they are also experts on the wide range of available driveway materials. If you are looking for something different than a standard asphalt driveway, your pro can help you select driveway pavers or customize a brick driveway design. A driveway installation and maintenance professional may work closely with a Black Butte Ranch, OR builder, landscape professional or various manufacturers and suppliers. 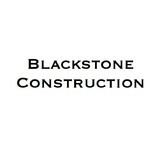 Find a Black Butte Ranch, OR driveway installation and maintenance professional on Houzz. Narrow your search in the Professionals section of the website to Black Butte Ranch, OR driveway installation and maintenance. You may also look through Black Butte Ranch, OR photos to find examples of driveways that you like, then contact the professional or contractor who worked on them.